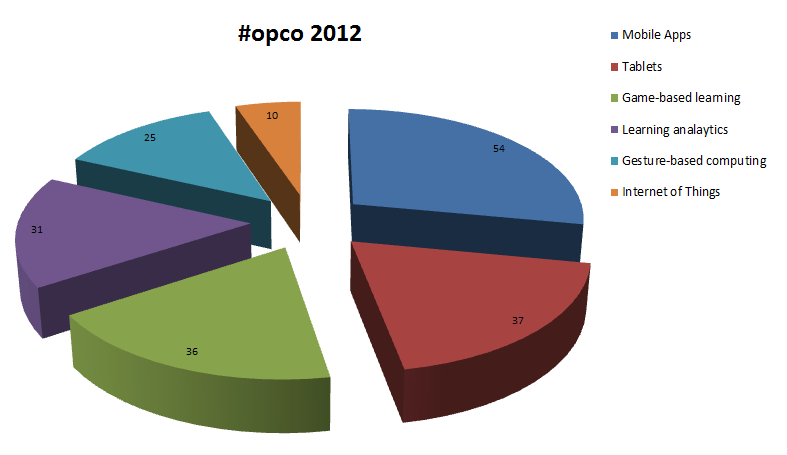 We are coming to the end of the #opco12 😦 and I thought it is time to start with my final report. 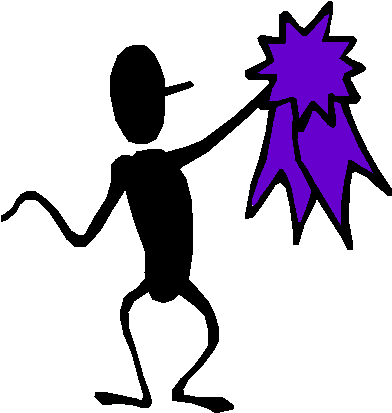 First, I want to look at the MOOC in general and then look at the content in particular and classify my chosen topic(s) within the whole course. My initial blog post(s) (Stage of orientation – #OPCO12) from the #opco12 were characterized by some insecurity how the MOOC concept will work. Especially the number of participants – over 1000 (as from 16. April) – and the number of participants even increased by 450 participants up to 1450 (as from 18. June) – was quite intimidating. How can a course work with so many people? That was my biggest question. After a noncommittal start I warmed up and now I am disappointed that the course comes to an end. The exchange with like-minded people is really great and thanks to the course teams and the lecturer with their presentations during the online sessions this course is/was a great success. 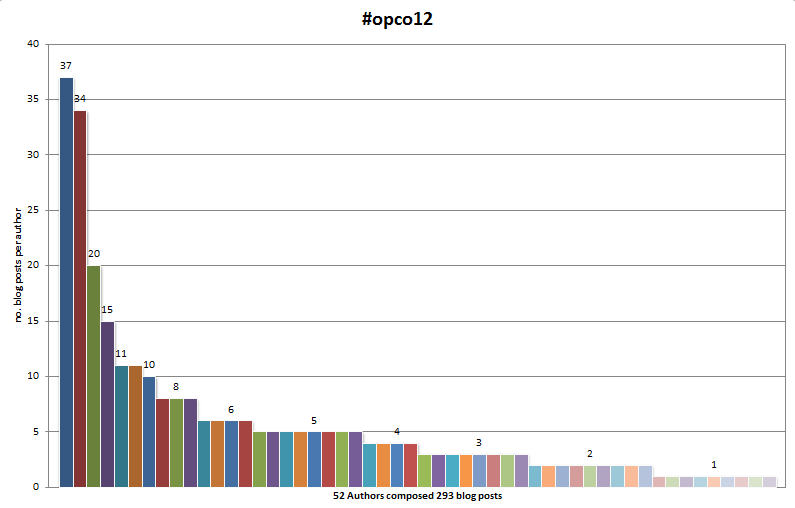 Number of blog posts for each category, leaving out the general blog posts. Big sister is watching us 😉 – Trotzdem schöne Übersicht! Mit welchen Tools haben Sie die Daten eigentlich erfasst? Alles Handarbeit wie es sich für ein Mädel gehört 😉 Ich habe einfach gezählt – bei den Tweets habe ich mir das gespart – und dann die Daten mit Excel ausgewertet und grafisch dargestellt.